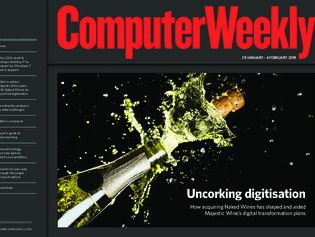 In this week’s Computer Weekly, we examine the digital transformation of retailer Majestic Wines, and find out how buying online rival Naked Wines led to a cloud-led overhaul of the firm’s IT. We look at the challenges for IT managers as they prepare for the end of Windows 7 support in January 2020. And our latest buyer’s guide discusses deep learning technology. David Jack, chief technology and products officer at analytics pioneer Dunnhumby, on how he is working to scale up the company’s platforms and migrate to the cloud. We investigate how technology can improve UK fashion retailers’ green credentials. Making sense of who offers what in the cloud, and which providers are the best fit for your business, can be hard going. We look at how to make a good choice.